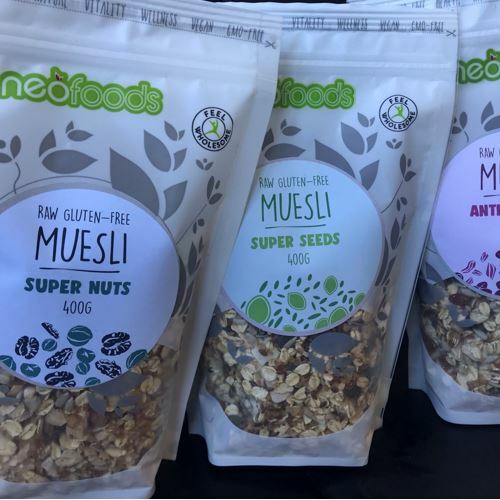 Our handmade raw gluten free Mueslis are fiber and protein-rich breakfasts made of raw, gluten free rolled oats, dried fruits, seeds, and nuts. The three recipes contain superfoods, no sugar added and nothing artificial. The mixes are full of vitamins, iron, and magnesium. The added nuts bring extra protein and omega-3 fatty acids into your breakfast, while other ingredients like fruit can give you a healthy dose of potassium, fiber, vitamin E, C, B-12, and more. 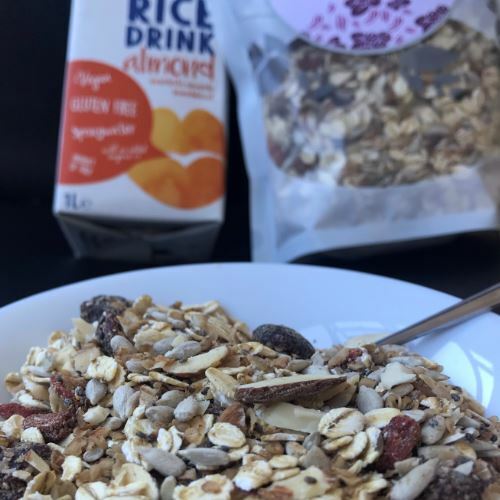 Additionally, raw oats contain a ton of resistant starch, making muesli an extremely filling breakfast that takes a long time to digest. By eating muesli regularly, you’ll be drastically improving your heart health.